Despite the costs involved, I have no hesitation in recommending Pocket Casts for your podcast needs. It is a solid, well designed application that provides a huge amount of content at your fingertips. That content is easily searchable and easy to subscribe to and with things like automatic download and deletes, it keeps your content consumption in control on your mobile devices where storage is often at a premium. It isn’t perfect as I can see a couple of areas that would be great for improvement but of all the ones I’ve tried, it stands above the rest. 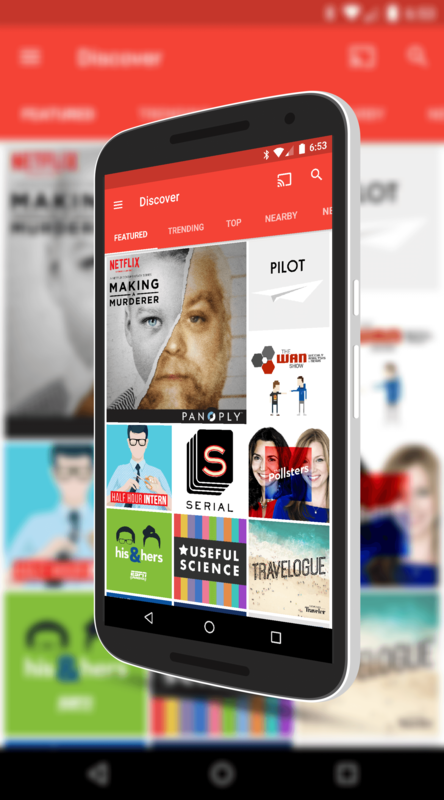 variety of categories of podcasts: Featured, Trending, Top, Nearby, Network and Categories. If you know the network you want to want to get podcasts for, like TWiT or PBS, you can go to the Networks tab and easily find them. Likewise, you can use the search feature of the app to find a podcast by name. 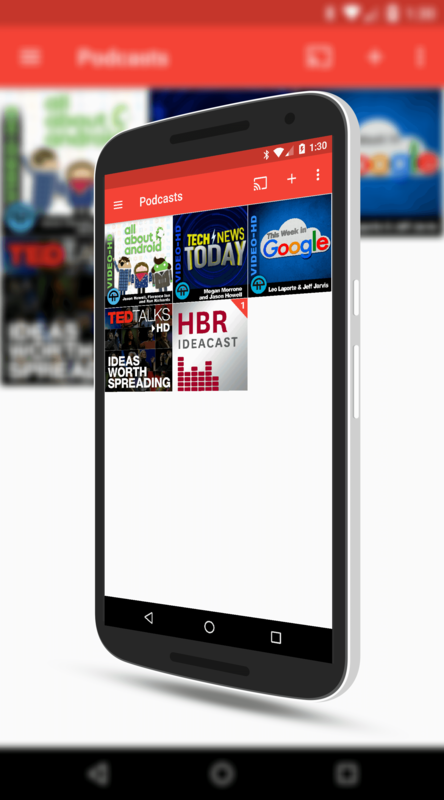 The menu of Pocket Casts is a typical hamburger menu that allows you to navigate to the various parts of the app. These areas include the podcasts you are subscribed to in the app, your unplayed podcasts, your audio or video casts and the casts that you have downloaded. At the bottom you will find Settings which I will go into more detail on later. You will also note that there is an episode filter which allows you to create a custom filter so you can quickly find your favorite episodes or particular type of podcast in your library. 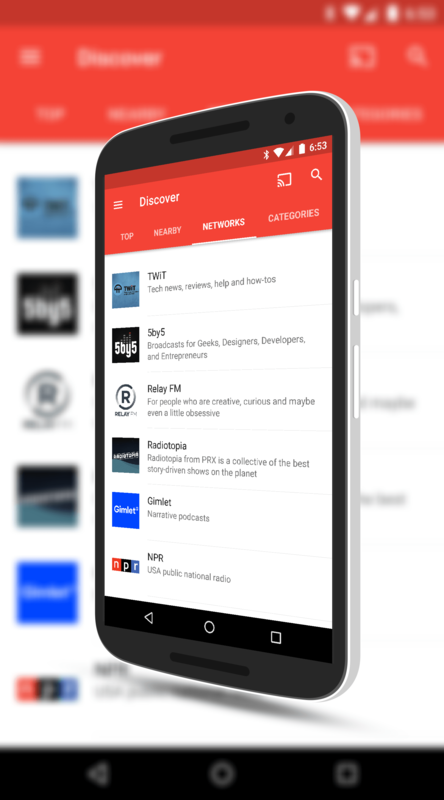 The filter is highly customizable and is one of the big pluses of Pocket Casts over similar apps. It allows you to organize your podcasts in a way that works best for you. Overall I have found the UI of Pocket Casts to be pretty intuitive and easy to navigate. Finding new content is easy and getting to specific episodes or podcasts is quite easy to do. The episode filter is really powerful and it can be a bit intimidating at first until you get the hang of it. I can see where this feature would be very handy if you subscribe to a dozen or more podcasts but if you are below 10, like me, it is a bit of overkill. name. In my using of the app over the course of the past few weeks, I haven’t found a podcast yet it hasn’t been able to locate and allow me to subscribe to for listening or viewing. Literally anything is available from tech oriented podcasts, to cooking and living, government and even those that are very much NSFW. If it is out there, you can find it in Pocket Casts. What has impressed me with the app is that the developers have done a great job of letting you get to all of these podcasts without overwhelming you. They have neatly organized things that makes the app intuitive to use but it doesn’t feel “dumbed down”. If anything, it feels quite powerful with me completely in control. If there is one thing I would like to see in the app it is the ability to manually add an HTML or RSS link for a podcast. This is particularly handy if there is a new podcast that you want to listen to or watch but Pocket Casts hasn’t picked it up yet. Admittedly, this is reasonably rare but it would be nice to have the option. I should be clear that there is an OPML import option if you are importing your podcast list from another app or service. in the next section), you can have the app check anywhere from once a day to once an hour for new content. When new content is found, it is automatically downloaded to your device and you will see a notification that a download is happening. Equally as important in my books is the ability to delete content automatically. You can setup Pocket Casts to delete content after it has been played automatically and you can also tell it the number of episodes you want to keep. This allows you to control just how much storage on your phone or tablet is being consumed by podcasts. This to me is one of the real handy features of the app. I don’t have to remember to delete old casts. It just happens when I’m done viewing. There is a lot of customizing you can do to Pocket Casts in the settings and I encourage you to go through each area to check them closely. You can for example have the app play over other notifications so you get uninterrupted viewing or listening. You can also change the theme, download show notes and episode artwork as well if you want to do so. A key feature that Pocket Casts offers users is the ability to synchronize your podcast content, playback information and filters across your devices. This not only includes being able to sync across your Android devices (say your phone and your tablet) but also across to an iOS device or a Windows Phone. It also synchronizes things like auto downloading and auto deleting so if you play a podcast on one device, it is deleted on all the devices once you have played it (if you set it up that way). It will also synchronize with the Pocket Casts web based viewer that is supported by Chrome, Safari and Internet Explorer. This sync functionality requires that you sign up for an account which is free and you sign in with that same account across all of your devices. As you would expect, there is a cost associated with each platform you decide to sync. For example, the Android version is $3.99 and you can install it on multiple devices. If you have an iPhone or iPad you want to sync with, that version is $5.99 in the iTunes Store. Want to sync to the web-based player? That’s another $9. This can really add up if you have all of these different platforms you want to play podcasts on so be aware. I really don’t have much of an issue with the separate costs for the Android and iOS versions but the web version is a bit expensive in my opinion. If it were closer to the $4-5 mark like the apps I think it would be more palatable.